Oblate Bishop Bejoy D’Cruze was installed on September 30, 2011 as Bishop of the newly formed Diocese of Sylhet. This is the country’s 7th diocese, which was created on July 8th. The new diocese has seven parishes and 11 mission centers with about 17,000 mostly tribal Catholics, served by 21 priests and 33 Religious. 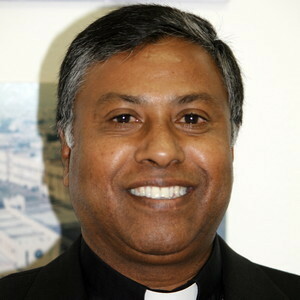 Bishop D’Cruze had served ably as Bishop of Khulna before his appointment to the new diocese. Sylhet has been a locus of JPIC work in Bangladesh, with Oblate support for efforts against illegal logging and in support of land and other rights of the indigenous Khasis and Garo peoples.